SAN FRANCISCO (KGO) -- Gas prices are the lowest they've been in 12 years nationwide and, for once, that includes us in the Bay Area. The national average for a gallon of regular gas is $2.21. That's twenty cents cheaper than this time last year. The average household is expected to pocket an extra $300 in savings this year. Bay Area prices are higher than the national average but quite a bit lower compared to the same time last year. In Oakland, the average price is $2.69. A year ago, drivers were paying $3.15. The current average in San Francisco is $2.84, 45 cents less than what we saw last year. 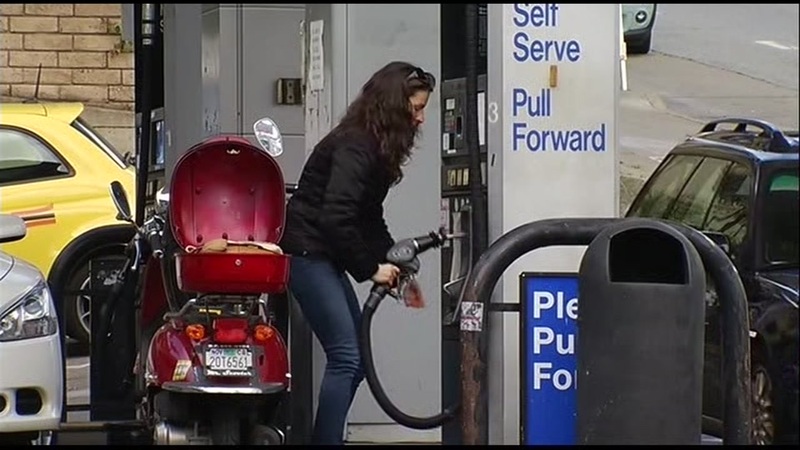 In San Jose, gas prices are averaging $2.70 today compared to $3.11 a year ago. For more stories about gas prices, click here.